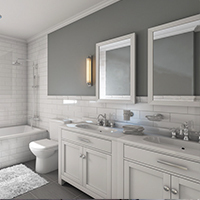 Meet our amazing bathroom designer who will help you make your dream bathroom a reality. Licensed and experienced tradespeople, every time. 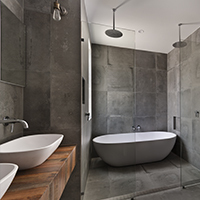 The design choices when renovating a bathroom can seem overwhelming! 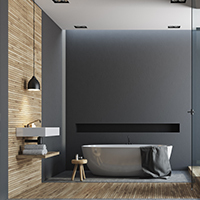 However, with expert advice from our our renovating and design team, planning your bathroom will become a pleasure. We will work with you to help realise your bathroom ideas. 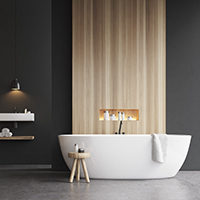 We understand that every bathroom needs style, accessibility and good ergonomics. 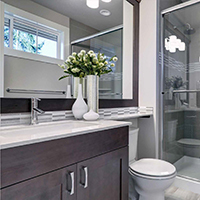 With our commitment and experience, we will deliver the best bathroom for you. With over 15 years in the business we believe in delivering the highest quality bathrooms, within budget, on time. We believe in customer satisfaction and we’re willing to go that extra mile to get it. From planning through to design and installation, The Newcastle Bath Co. is with you all the way. 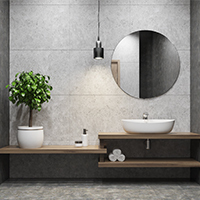 We are fully licenced to provide your bathroom renovation needs. General plumbers and carpenters are not licenced to do bathroom renovations, only builders or plumbers/carpenters with their kitchen, bathroom and laundry license are able to do so. We are fully licenced to provide your bathroom renovation needs. © 2018 The Newcastle Bath Co. All Rights Reserved.